Finishing up the Texas leg of the Hell-On tour, Neko Case, joined by opening act Jennifer Castle, made her way to the Granada Theater on Saturday night. These two Americana folk-rock acts brought a calm, positive energy to a gloomy and rainy night in Dallas. Jennifer Castle @ The Granada Theater. Photo by Lauren Frederick. At approximately 10:10pm, the long awaited for Neko Case and her six-man band took the stage. Kicking off her marathon of a set with “Pitch or Honey,” the crowd roared out with excitement. Neko blazed through the set, spending little time chatting with the crowd, probably due to the insane amount of songs they were intending to play; however, the crowd was still engaged and were laughing along to every little joke the band made, and with the conclusion of each song the crowd cheered louder. Having seven people on stage is seemingly an ambitious feat; however, each instrument and voice blended together beautifully and flawlessly, with each instrument also standing out and being highlighted in a very purposeful and intelligent way. The set, peaking with “Curse of the I-5 Corridor,” brought out an impressive light show and equally awesome instrumental breaks. The lights organically ebbed and flowed with the energy of this long song. Only about half way through the set, Case had the fans engaged and loving every second of the night. Although the set was long, it didn’t seem long enough because after it was over, fans had to reluctantly go back out into the gloomy weather from which they came. After seeing Neko Case live, it’s no wonder she has had a very long and successful career and acquired so many fans across the globe. And after last night, she has gained one more fan in me. 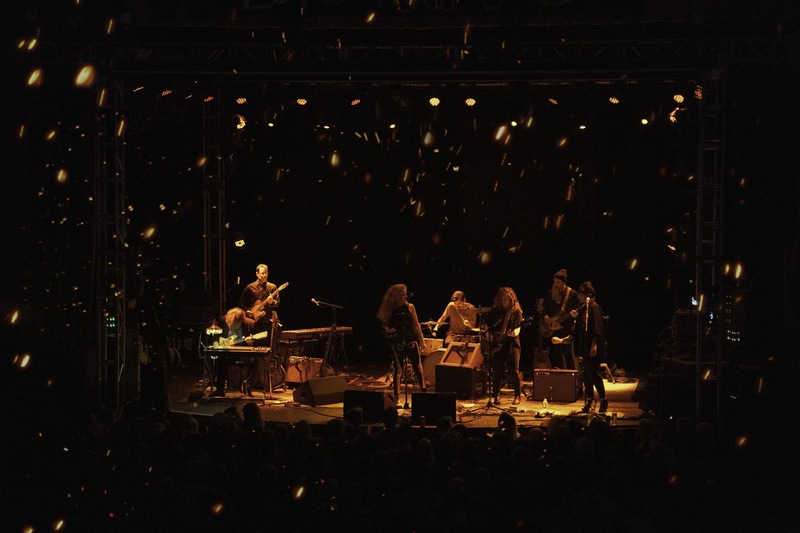 Neko Case continues her tour across North America and Canada into the spring. Check out the list of tour dates below and be sure to give her new album Hell-On a listen.